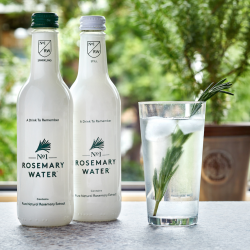 Certified spring water with pure rosemary extract - a refreshing and unique way to benefit from the healthy medicinal herb, rosemary. In the peaceful hamlet of Acciaroli, Italy, more than one in ten residents make it up to and over their hundredth birthdays, and without many of the typical age related problems that plague populations elsewhere. 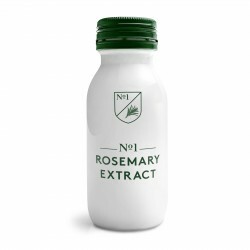 It is attributed to the rosemary they grow locally and eat regularly - rosemary is known for its anti-oxidant, anti-inflammatory, and anti-carcinogenic properties and can reportedly ward off dementia and Alzheimer’s disease. David became interested in rosemary after a visit to Acciaroli. Not wanting to eat it, he designed No. 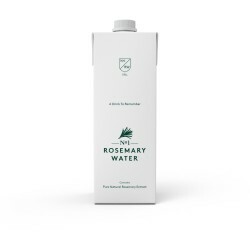 1 Rosemary Water as a convenient means of incorporating this reinvigorating herb into conventional Western diets. 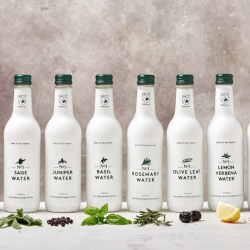 The only product of its kind worldwide, it is truly a drink to remember.